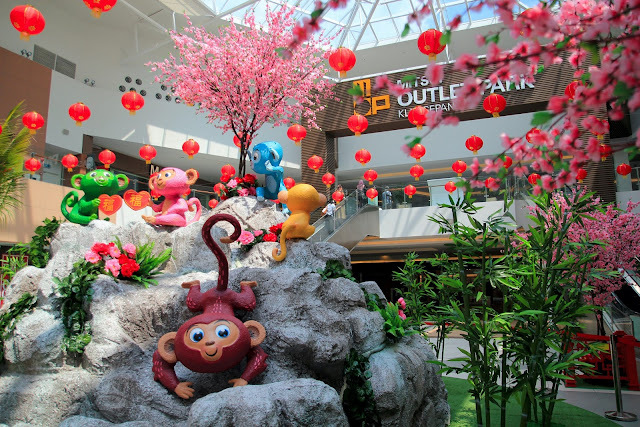 Mitsui Outlet Park KLIA Sepang ushers in the Year of the Monkey with discounts of up to 90% on a myriad of international and local luxury brands. 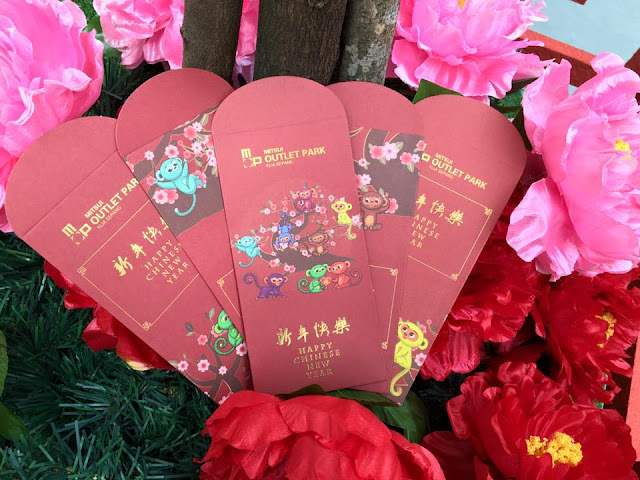 The outlet mall’s Chinese New Year Sale starts from Saturday, 16th of January 2016 and ends Sunday, 21st of February 2016, giving local shoppers the opportunity to do their Chinese New Year shopping in preparation for the upcoming festivities. To create an authentic Chinese New Year experience, a host of activities have been planned for visitors to the mall. From 16th January 2016 until 14th February 2016, shoppers can redeem one (1) set of Limited Edition Red Packets when they spend more than RM100 at Mitsui Outlet Park KLIA Sepang. Besides that, visitors can meet the God of Prosperity during his walkabouts on Saturday, 30th of January 2016 and Sunday, 31st of January 2016. Shoppers should head over to the Sunshine Square at 3.00pm on the same weekend to catch the energetic and acrobatic skills of the traditional Lion Dance performers. “Mitsui Outlet Park KLIA Sepang advocates a factory outlet shopping mall concept, allowing shoppers to enjoy great discounts every day of the year. However, during this Chinese New Year, we are happy to offer even bigger discounts of up to 90% to shoppers who are looking to greet the Chinese New Year in their very best. With these extremely attractive discounts, we hope that those preparing for the celebrations this year ‘s celebrations will choose Mitsui Outlet Park KLIA Sepang as their Chinese New Year shopping destination”, said Takehito Fukui, Managing Director of MFMA Development Sdn Bhd (MFMA Development). There is always something for everyone when shopping at Mitsui Outlet Park KLIA Sepang. Shoppers will be spoilt for choice by the many international and local brand names found within the mall. Among them are Hugo Boss, Bally, Polo Ralph Lauren, Outlet by Club 21, Aigner, Sacoor Brothers, Tommy Hilfiger, DVF, Hackett London, Bonia, Adidas, Guess, Hush Puppies, Topshop, Superdry, Versace, Swarovski, Pepe Jeans and Cole Haan. 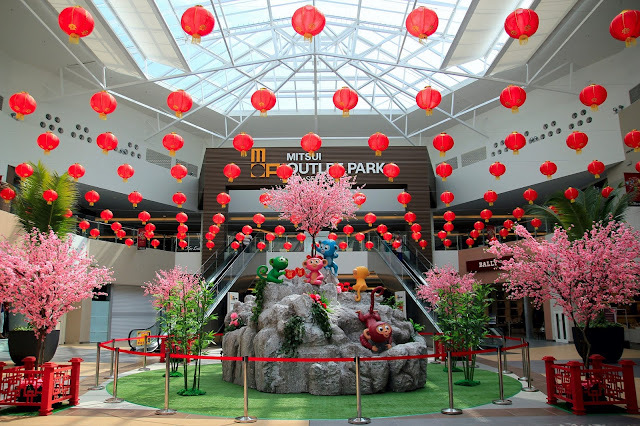 To keep shoppers going as they go about their shopping sprees, Mitsui Outlet Park KLIA Sepang also houses many popular international restaurants that will be offering special discounts and seasonal menus. Visitors can satisfy their appetite with the Prosperity Salmon Set at Don Don Tei, a complimentary 65g tiramisu Chocolate with a purchase of RM150 at Beryl’s Chocolate & Cafe or enjoy the special Chinese New Year Menu at The Loaf. 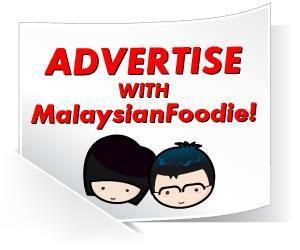 Other specialty restaurants include Hidang, M.A.D!, Bari-Uma, Straits House, The Coffee Bean and Tea Leaf and Dome. For travelers who have time between flights, Mitsui Outlet Park KLIA Sepang is the perfect place to get a glimpse of the local culture without the hassle of rushing to the city. For the convenience of travelers, the outlet mall boasts flight check-in services, Flight Information Display Systems and free baggage storage facility. Additionally, the outlet mall also provides free shuttle bus service to and from KLIA & klia2. For more information on new tenants and upcoming offers and promotions at Mitsui Outlet Park KLIA Sepang tenant offers and, visit www.mitsuioutletparkklia.com.my or www.facebook.com/MOPKLIA.